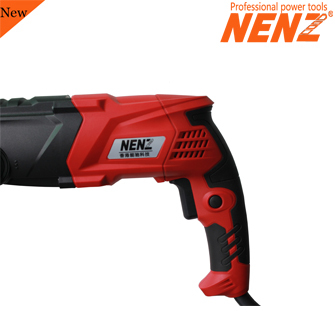 •Compact design,lightweight,only 2.3kg.850W input power and 2.3 Joules impact energy. 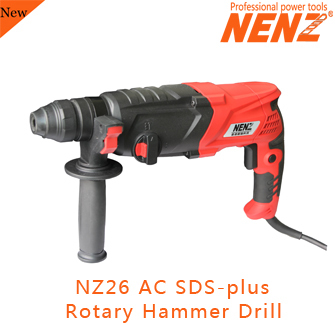 •26mm solid bits drilling capacity in concrete,easy to solve construction problems. 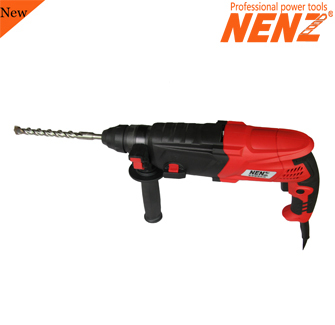 •Including hammer drill and drill functions. •Variable speed switch with forward and reverse direction. 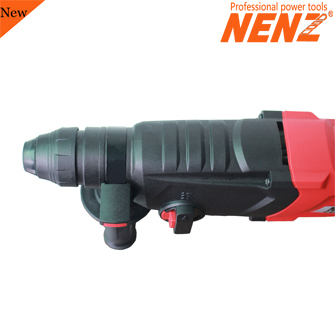 •Soft-grip handle and side handle for sustained used.